Location: U of M Saint Paul campus, Continuing Education and Conference Center. Free parking! Audience: Public works supervisors and managers new to management roles, managers who wish to sharpen their skills and build their confidence, and public works employees preparing for advancement. effective creation and delivery of workplace and technical documents. The Public Works Certificate is offered in collaboration with the American Public Works Association—Minnesota Chapter. Those who finish all five courses will be awarded a certificate of completion from APWA-MN. Students are allowed one (1) absence per class. A second absence from the class will require the student to satisfactorily complete make-up work assigned by the course instructor. A third absence will result in failure of the class. This course focuses on all aspects of management and communication expected of a public works leadership position, as well as the supervisor's role in managing internal relationships within government systems. Topics include public relations, including how to conduct a public meeting to get citizen buy-in; handling complaints; written communication; interacting with media professionals; techniques for screening, interviewing, and hiring new employees; and leveraging social media. 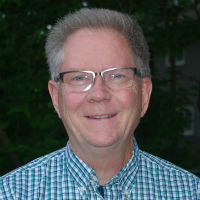 Instructor: Dave Hutton, Senior Project Manager, SEH, Inc.
Hutton has 40 years in the public works/engineering profession and has worked in both the public and private sector. 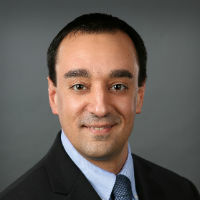 He is a registered Professional Engineer in Minnesota, Wisconsin, and North Dakota. Former clients include the cities of Savage and Shakopee, MN, and West Bend, WI. 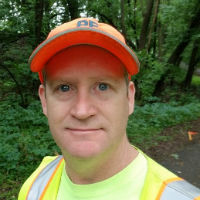 Hutton is past president of APWA-MN (2010) and won the Hugo Erickson award in 2017, the highest award for service to the chapter. In this course we’ll introduce the administrative skills frequently used by public works professionals, such as basic writing principles, planning, organizing, and preparing and delivering effective technical communication within and outside the organization. Specific examples of communication tools include field construction reports, interoffice memorandums, document summaries, and verbal presentations. We’ll also introduce students to basic office applications that will be used in the preparation of documents used by public works professionals. Over the last 20 years, Johnson has worked on many municipal projects throughout the Metro including the Guthrie Theater, Target Field, Highway 212, the Central Corridor and SW Corridor Light Rail projects, and the Saint Paul Metro Wastewater Treatment Plant renovation. Most recently, he worked as a construction inspector for Professional Engineering Services. Johnson carries multiple Minnesota Department of Transportation inspection certifications, as well as the national CIPP inspection certification through NASCO. Public works operations are a critical provider of services—such as water, sewer, and streets—that affect the health, safety, enjoyment, and prosperity of our residents. This course identifies the equipment and personnel needed to carry out these functions effectively and efficiently. Discussions will include considerations relating to rehabilitation versus reconstruction of infrastructure, renting versus purchasing of equipment, and contracting versus in-house use of personnel to provide services. 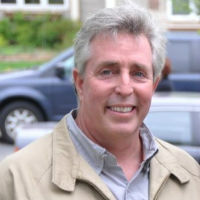 Bachmeier has been a Registered Professional Engineer for 31 years. He has 34 years of experience delivering public works services, with 20 years as a public works director. He holds a bachelor’s degree in civil engineering and a master’s degree in public administration. This course will familiarize you with the administration and operation of a public works department. It provides insight into the organizational structure, planning, financing, purchasing, budgeting, and management of public works organizations, as well as individual job responsibilities and internal relationships within governmental systems. Manchester oversees the design, management, construction, and financing of infrastructure for the City of Minnetonka. Prior to that, he worked as a consultant engineer managing municipal and private development projects and was responsible for surveying, inspection, design, and client management. Manchester is an active member of the City Engineers Association of Minnesota, including serving on the executive board from 2014–2015 and the annual conference planning committee. He is also an active member of the Minnesota Public Works Association. In this course we’ll review the basic principles of public works engineering functions and examine the materials and methods used in public works projects. Topics include soils, aggregates, bitumen, concrete, utilities, plan review, traffic counts, flexible pavement design, erosion control, surveying, public land survey, construction methods, basic project management, contracts, bidding, and records. 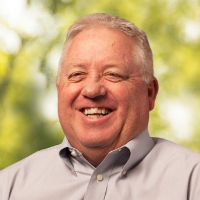 Watson has over 35 years of experience in public works and has served as the public utilities superintendent for the city of Brooklyn Park for the past 20 years. He has a bachelor’s degree in civil engineering from the University of Minnesota and holds state water and sewer licenses.